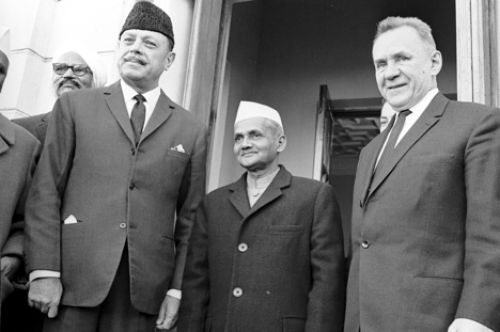 Home india All you need to know about the Tashkent Agreement! The Tashkent Declaration of 1966 was a peace agreement between India and Pakistan. The declaration assigned on 10th January 1966, which resolved the Indo-Pak war of 1965. The meeting was held between the then president of Pakistan Muhammad Ayub Khan, and then Indian Prime Minister Ravi Shastri. Held in Uzbek SSR, USSR (now Uzbekistan), this meeting was moderated by Alexei Kosygin who represented the Soviets. Was the outcome of the Tashkent Declaration of historical significance? The items on which the two leaders came to an agreement may be broadly grouped under two heads. It is a normal feature for every war to be followed by the conclusion of a peace treaty. By the resolutions which the Security Council passed on September 20, 1965, it tried to bring about such a treaty as a fitting sequel to the Indo-Pakistan war of August-September, 1965. Though the resolutions regarding cease-fire and withdrawal of armed personnel to the positions held prior to August 5, were accepted by both India and Pakistan and although there was a formal declaration of cease-fire on September 22, there were repeated violations of the cease-fire and there was a danger of the recrudescence of warfare on a large scale. This danger was put end to by the “Treaty” items in the Tashkent Agreement under which both parties agreed to withdraw not later than February 25, 1966, all their armed personnel to the positions held prior to August 5, 1965, to restore the normal functioning of diplomatic relations, to repatriate, the prisoners of war and to discuss the return of the property and assets taken over by either side during the conflict. There was an element of sincerity in agreeing to these items which were absent when both the parties accepted the resolutions of the Security Council. The result is the putting into effect of this part of the agreement according to plan. Armies had been withdrawn to the agreed positions; prisoners of war have been repatriated; normal diplomatic relations had been restored, and postal and telegraphic communications between the two States and air-flights across each other’s air-space had been resumed. Perfect peace prevailed between India and Pakistan. This was the outcome of the Tashkent Agreement and everyone ought to feel happy about it. What about those crucial events, that led to the Tashkent Declaration? The secretary general of the United Nations, U. Thant had been trying to bring the war between India and Pakistan to an end ever since the Pakistani infiltration started in Jammu and Kashmir on August 5, 1965. He was trying to end the war and get both sides to respect the Ceasefire Lines. He asked the Pakistani representative to convey to his Government, his “very serious concern about the situation that was developing in Kashmir, involving the crossing of the CFL from the Pakistan side by numbers of armed men and their attacks on military positions on the Indian side of the line, and also his strong appeal that the CFL be observed”. He asked the Indian representative to convey to his Government, “my urgent appeal for restraint as regards any retaliatory action from their side”. Subsequently, the Secretary-General reported that he was unable to get necessary assurance from Pakistan, but received an assurance from the Indian representative’ that India would act with restraint and respect the CFL if Pakistan did so. On September 8th, 1965, the United Nations called for the withdrawal of all army personnel to the positions held by them before August 5th. This was the first time that the United States and the Soviet Union together on an issue of such significance. The Indian representative explained that the Kashmir issue was alive and unresolved, and informed that the political status of Kashmir was not negotiable. So the Indian Prime Minister chose to set some pre-conditions to be fulfilled for a ceasefire. The diplomatic efforts of the United Nations resulted in a ceasefire on September 23rd, 1965. What were the key clauses mentioned in the Tashkent Declaration? The Prime Minister of India and the President of Pakistan agree to make all efforts to establish good relations between India and Pakistan in accordance with the United Nations Charter. They affirm to renounce the use of force in the settlement of their disputes. The President of Pakistan and the Indian Prime Minister agree to withdraw, no later than February 25, 1966, all armed personnel to the position held before August 5, 1964. Both India and Pakistan agree to follow the principle of non-interference in their affairs and will discourage the use of any propaganda against each other. Both the countries also agree to reopen normal diplomatic functioning and to return of the High Commissioners of both the countries to their posts. Measures towards the restoration of economic and trade relations, communications, as well as cultural exchanges between the two countries were to be taken. Measures were to be taken to implement the existing agreements between Pakistan and India. Prisoners of war would be repatriated. Discussions would continue relating to the problem of refugees and eviction of illegal immigrants. Both sides will create conditions that will prevent the exodus of the people. To this day, the Tashkent Declaration remains of extreme importance, along with the intervention of the United States and the Soviet Union, as a part of the United Nations, in the history of not only India and Pakistan, but also in the history of the post-colonial world that could’ve broken out into another war that could’ve destroyed the newly restore peace. You Might Also Like: Prime Minister Narendra Modi tops the list for most searched Indian 2017!